Once again I'd like to say thank you to the jury that helped me to sort things out! Here's the link to the book! Enjoy. It's the most amazing and beautiful tribute Morran could have. Hugs to you, Camilla. I want my copy, how can I buy it? Oh! What a surprise to see my little drawing on the front cover! 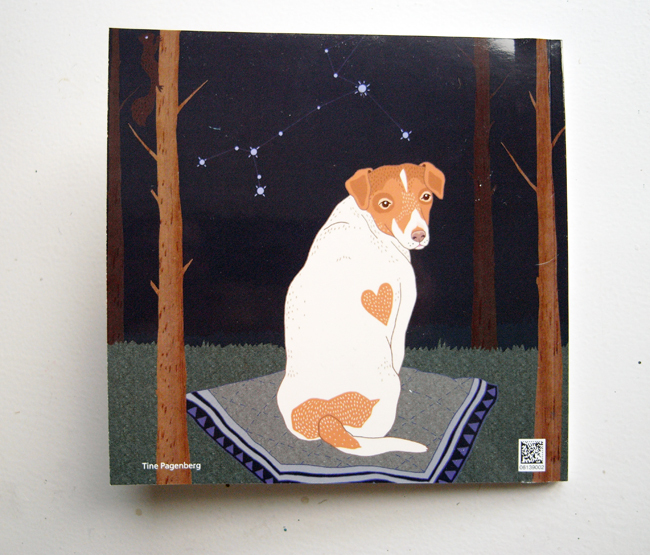 The book looks lovely; a perfect way to remember such a great dog. Will be ordering my copy soon. so proud to be in it! I can't wait for my own copy! You are a very brave, hard working lady and it is a wonderful book. 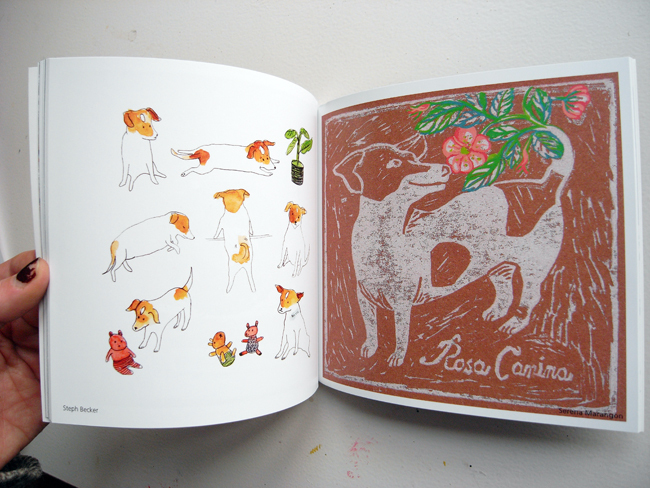 So many fantastic illustrations, my copy is on it's way and I can't wait. It looks great! I just placed my order :-) Thanks a lot!!!! Camilla I feel so lucky to take part of Morran Book Project, thank you! I just order my copy! But still a beautiful book. If you are Ada Maruri, your pic is in the book! What a fantastic tribute! I looked through both books' previews. Very nicely done. Thanks for including me! what a beautiful tribute to morran and what a beautiful project in the name of a lovely little animal. i'm sorry i'm late in offering my condolences. it's a terrible thing to lose a loved companion - especially after all your best efforts to keep morran with you this past year. may i borrow a picture to add to my xmas suggestions at http://mlleparadis.blogspot.com? I feel honored to have my drawings in such great company. Thank you so much for putting this together Camilla, I know it was a rough road to travel down, but to see so many lovely images of your sweet Morran. I think I might make my own for my 2 that past this year. These are all so very wonderful! Oh Camilla!! This is such a beautiful tribute to your dear friend. I feel so honored to be a part of this project. The book is just so beautiful! I have been back several times to flip through and look at all of the amazing artwork in it today. I just ordered myself a copy for my birthday. Thank you for all of your hard work. You are amazing and I know Morran would be proud. I have ordered them both! I am in the 75-one!! Thanks Camilla and the jury for the work, and thanks to little Morran for the inspiration. The books are so beautiful, it's an honor to be in there. I'll order right now some of both for Christmas gifts (or for the "Three Kings" gifts here in Spain). 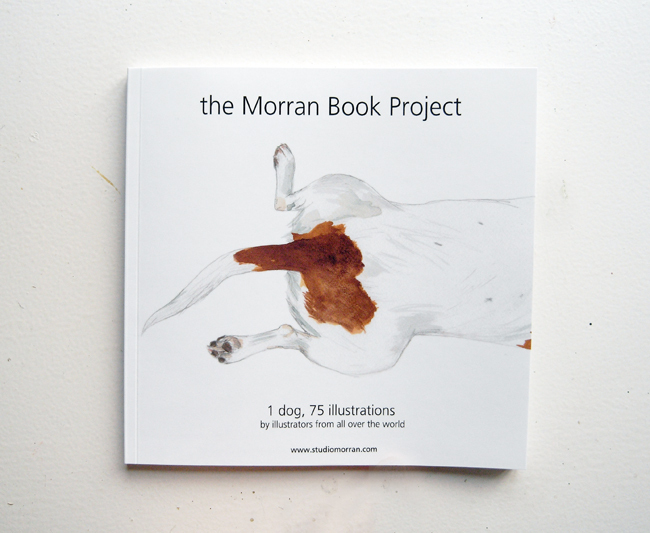 Your book is just beautiful, and such a wonderful tribute to Morran. I am very honoured to participate in your project! I hope that the book and wonderful tributes helps ease your pain in dealing with Morran's loss. Patrice, everyone's picture is in the 180 pages book! All of the contributions are absolutely remarkable. What an powerful testament to the inspiration and love we all felt for Morran. Tremendously honored to take part. I am proud to be in the book with many beautiful Morran! I just found your blog via Decor8 and am so touched by the wonderful tribute your friends have created to honor your beloved Morran. As a dog owner and canine rescue person the book is amazing in so many ways. The love expressed within each image shines through so brightly. I am so sorry for your loss. What a wonderful life you provided to Morran and what an incredible legacy he leaves behind. I'm so sorry to hear of Morran's passing. It's a pain I know all too well. No matter how long they live, it's never long enough, is it? This is the most amazing project that i've seen recently! Congats! 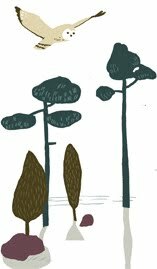 Who can give a full list of illustrators on the book? I just looked through the preview on Blurb and started to cry. Part of it must be that my parents' dog died last week, but I think also it is because there is just so much love in the pages. What an inspiring book in so many ways.